Looking for deals in Athens? Centrally located in Athens, just a 6-minute walk from the Acropolis Museum, the brand new B4B Athens Signature Hotel, owned by B for Boutique Hotels, features an on-site bar. Central location, clean, modern, great breakfast, friendly nice stuff, got a free upgrade to my room, great value for money! Just steps from from the New Acropolis Museum, AD Athens Luxury Rooms & Suites has an on-site bar and offers elegant rooms and suites with free WiFi access. Great place and really nice stuff if you plan to visit Athens! Thank you! Set in the high-end Kolonaki area of Athens, just steps from designer's shops, Hotel Lozenge offers rooms and suites with free WiFi access. Perfect location, quiet, very friendly and helpful staff, excellent restaurant. Great boutique hotel. Located in the heart of Athens, just 656 feet from Syntagma Square, the modern Electra Metropolis features a small, rooftop pool with waterfall effect, and a sun terrace with views over the city. Everything was ok, nice area, very clean hotel, all places are near the hotel and you can reach them by walking. You dont need transportation to move from place to another. Located in Kolonaki, one of the most high-end districts in Athens, Coco-Mat Hotel Athens offers elegantly designed units close to major touristic attractions and vibrant areas of the city. Everything - location, incredible staff, very clean rooms, nice design. Definitely staying here again! Hotel Plaka has a prestigious location in Athens’ historic center. It is just 5 minutes walk from Syntagma Square and 2 blocks from Monastiraki Metro Station. Location is superb, right in the Main Street of athens old town. Ideally set in the heart of Athens, Klepsydra Urban Suites is housed in a restored neoclassical building and offers stylish accommodations with free WiFi access. Very convenient location, helpful staff, elegant accommodation. Ideally located in the heart of Athens, Athens Mansion Luxury Suites offers à la carte breakfast and free WiFi. Beautiful property in a great location. Located in the heart of Athens, 360Degrees Pop Art Hotel offers modern accommodations with free WiFi access just steps from Ermou Street. We liked everything, the top room with the view to acropolis was realy amazing! Be My Guest Athens is centrally located in Athens, within walking distance of both the scenic Thission and Petralona districts and a 4-minute walk from Apostolou Pavlou street. This little boutique hotel was perfect. The staff was friendly and helpful. Located within a 7-minute walk of Museum of Cycladic Art and 0.7 miles of Syntagma Square, COCO-MAT Athens Jumelle in Athens has free bikes and rooms with free WiFi. Very cozy room. You feel like home. Set in Athens, 984 feet from Ermou Street-Shopping Area, The Artist Athens offers air-conditioned rooms and a terrace. Breakfasts were included in the price of the room and were delicious! Conveniently located in the Athens City Centre of Athens, The Athens Edition Luxury Suites is located a few steps from Ancient Agora of Athens. First of all, the service was outstanding! Located in the lively Psirri area of Athens, 984 feet from Ermou Street-Shopping Area, athensotel.com features a fitness center and a spa area with hot tub and sauna. The location is near to all attractions like Plaka, Acropolis. Featuring a terrace and views of city, Andromeda Downtown Suites is located in Athens, a 2-minute walk from Ancient Agora of Athens. This is more important how the hotel react to issues in case you have them. Just 2625 feet from the world-renowned Acropolis and Acropolis Museum, Elia Ermou Athens Hotel is conveniently set in the heart of Athens. This 4-star hotel features a restaurant and wellness club. The room is huge and have a beautiful view, they upgraded my room to a suites . Located in the Athens City Centre district of Athens, BED in Athens provides a terrace. Very friendly reception and took care of our needs nicely. Located close to major shopping streets and lively areas of the city, MET34 Athens Hotel offers stylish apartments in the heart of Athens. Acropolis is at just 1.9 mi. Amazing room and perfect location. You can walk to all the places for this hotel staff was amazing. The Zillers Boutique Hotel is located in Athens, 656 feet from Adrianou Street and 984 feet from Roman Agora. Great staff and very comfortable rooms. Delicious breakfast with a privileged view to the Acropolis. Just a 5-minute walk from the Acropolis, the 4-star Ava Hotel and Suites is centrally located in Plaka. It offers spacious, elegantly decorated suites with a private balcony or terrace. Very nice, small boutique hotel, conveniently located to all the major sites. Located in Dionysiou Areopagitou, the most scenic pedestrian street in Athens, AthensWas hotel is set right opposite of the Acropolis and the New Acropolis Museum. Everything was perfect. Really good breakfast, room amazing & location is great too. What are the best hotels in Athens near Eleftherios Venizelos Airport? Travelers who stayed in Athens near Eleftherios Venizelos Airport (ATH) have said good things about Sofitel Athens Airport, Dolce Athens Attica Riviera, and Seasabelle Hotel. How much does it cost to stay in a hotel in Athens? On average, 3-star hotels in Athens cost $66 per night, and 4-star hotels in Athens are $99 per night. If you're looking for something really special, a 5-star hotel in Athens can be found for $190 per night, on average (based on Booking.com prices). Which hotels in Athens are good for couples? These hotels in Athens are highly rated by couples: Elia Ermou Athens Hotel, BED in Athens, and Andromeda Downtown Suites. What are the best hotels in Athens near Acropolis? Some of the best hotels in Athens near Acropolis include Acropolis Exclusive Residence, Minilux Apartments and SV Acropolis Residence. 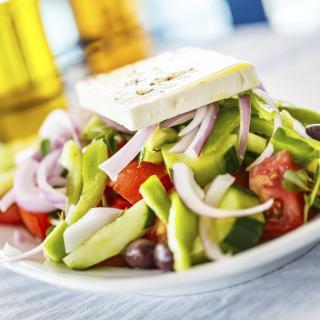 Which hotels in Athens offer an especially good breakfast? For hotels in Athens that serve highly-rated breakfasts, try Elia Ermou Athens Hotel, The Zillers Boutique Hotel, and The Artist Athens. How much is a hotel in Athens for this weekend? The average price per night for a 3-star hotel in Athens this weekend is $178 or, for a 4-star hotel, $247. Looking for something even fancier? 5-star hotels in Athens for this weekend cost around $439 per night, on average (based on Booking.com prices). Which hotels in Athens are good for families? Many families visiting Athens loved staying at King Lodge, BED in Athens, and NLH FIX | Neighborhood Lifestyle Hotels. How much is a hotel in Athens for tonight? On average, it costs $72 per night to book a 3-star hotel in Athens for tonight. You'll pay around $111 if you choose to stay in a 4-star hotel tonight, while a 5-star hotel in Athens will cost around $213, on average (based on Booking.com prices). Which neighborhood is the best one to stay at in Athens? Plaka, Glyfada, and Psiri are popular with other travelers visiting Athens. Which hotels are the best ones to stay at in Athens? 360 Degrees, AD Athens Luxury Rooms & Suites, and InnAthens are some of the popular hotels in Athens. Which hotels in Athens have nice views? Elia Ermou Athens Hotel, The Zillers Boutique Hotel, and The Y Hotel got great room view-related reviews from travelers in Athens. With the Acropolis as the jewel in the archaeological crown of Athens, this city is full of history while embracing the future. 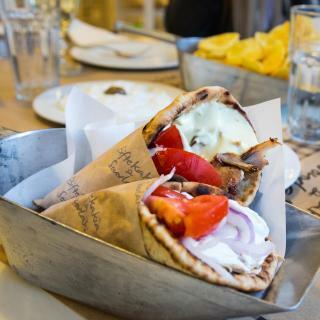 Take a stroll back in time through the neoclassical streets of the Plaka, where you'll find tavernas serving tantalizing souvlaki and mousaka, street vendors and live entertainment. A trip to the Parthenon and the Agora top most lists and can also be appreciated from a distance by walking along the Dionysiou Aeropagitou street, which is away from the busy crowds of the city center. The changing of the guard occurs every hour on the famous Syntagma Square. From here, Ermou Street provides shopaholics with a fashionable retail sanctuary. The upscale districts Kolonaki and Kifisia are also bursting with fancy boutiques, galleries and bars. Athens has some of the finest museums in the world, such as the National Archaeological, Acropolis and Benaki Museums. From Athens International Airport to the Port of Piraeus, this is a city bustling with the old and new. On Booking.com you can find everything from modern hotels to a room in a classical building. Love staying at Acropolis View Hotel because it was in a local neighborhood where we could walk to eat with locals (Katiamo) and hang out at little lunch spot. Bus is easiest to get around large area but we walk up the hill from hotel then down other side to the market once each day. I would never stay on the other side, to much city! Acropolis was amazing, but try and get your ticket prior to walking there as the cues to buy tickets was a bit long. It is ideal to get the pass that allows you to go to multiple attractions as they are the ones you want to see anyway and saves you from paying individual entrance fee at each. Ensure you wear shoes equiped for walking and have a drink bottle before starting the touristy attractions. I would recommend using the metro from getting to your hotel from the airport and vice versa, but ensure you know the metro stop you next to get off at. 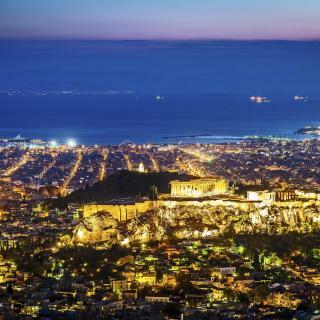 Ensure you have a view of Acropolis at night as they light it up and this makes a spectacular view. Hotel rooftop bars will help you see this. Athens is amazing! A ton to do and more than you can possibly see and process in just a few days! We went in early July and it was very hot in the sun while walking around and sightseeing. There was a nice breeze most days and when you found a shady spot and rested, the temperatures were nice. Be sure to bring sunblock and a hat and drink plenty of water! I recommend a guided tour for the acropolis, but the National Garden and some of the other ruins are self-explanatory. A half day tour is enough. After four hours, we were physically exhausted and mentally overloaded. There is a lot to see and learn and explore. I recommend taking afternoon breaks, either a nap in your cool hotel room or a nap by a pool. The food is amazing, and pretty much the same at all the restaurants. A for Athens is a must-see for dinner and a view of the acropolis! The metro is definitely the best way to travel around the city! Save at least 3 hours for the National Archeological Museum, it is quit large and detailed, but worth spending the time! The changing of the guards at Syntagma square is also very cool, a must see!! We began our trip in Greece in Athens for 3 nights, 4 days. We began our trip in Greece in Athens for 3 nights, 4 days. We spent every morning touring the ruins. After walking and touring, we were exhausted after eating lunch, so we returned to our room for a rest. Each evening we returned to explore the city and enjoy the delicious food! Our hotel had a pool, which is a bit rare in Athens, so we were also able to relax by the pool during the afternoons. I highly recommend a tour guide for the Acropolis. Hearing the stories really enhanced the experience! After Athens, we rented a car and drove to Delphi for two nights, then Olympia one night, then Kalamata for one night. We finally returned to Athens for our final night before catching a late flight home. 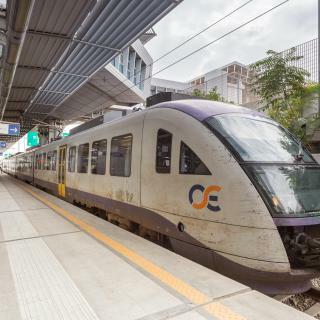 I would recommend using the metro to explore the city of Athens. It's affordable and convenient to all of the attractions in the city, except the National Archeological Museum. The open air bus tours are nice also and offer a convenient mode of transportation. They stop directly in front of the museum, so that was the best was we found to travel from the acropolis area to the museum. 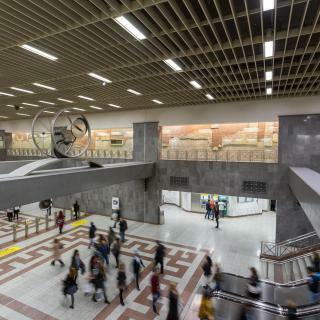 Most of the action is centered around the Syntagma station, Monstraki square, and the Acropolis station. Be prepared to walk, a lot! Restaurants are everywhere. I highly recommend Bairaktaris near Monstraki square. Get the gyro to go and it's much cheaper and you can sit on a ledge across from the restaurant. A for Athens is a perfect spot for drinks and dinner with an amazing view of the Acropolis! Just remember to work in some downtime, as it is very exhausting and a bit overwhelming to take in all the history and read all the info at the ruins and museums. A bustling, loud, beautiful city. Avoid driving at all costs! If you stay central you can usually walk or take public transport easily to wherever you want to go. Restaurants, cafes, bars, etc stay open quite late. Shoppers be aware that outside of the tourist areas most stores are closed on Sundays. Visit in Spring and Fall to avoid the heat and crowds of tourists in Summer. Do venture out to the beaches and nearby islands for a break from the city. Be aware that hotel rooms tend to run smaller in size than in American cities. In a word: Unique. Divani Palace Acropolis Hotel is a good location. 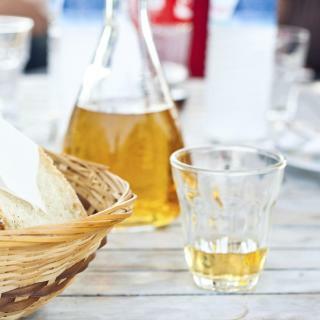 Numerous bars and restaurants to choose from on Drakou between Veikou and Siggrou. City center is fairly compact so there was a lot reachable walking within less than a mile radius. Of course, start with the Hop-On-Hop-Off (HOHO) tour (as everywhere) to get the lay of the land. I generally don't hop off as it wastes time waiting to hop back on. I do the circuit and go back to what I want to see on foot. There is also a Hop-On-Hop-Off to Pireas (the port). 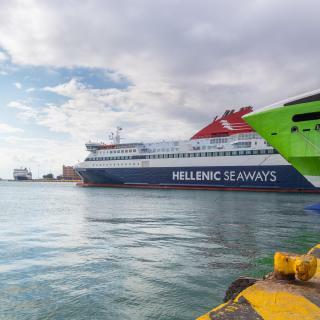 You can get both the Athens and Pireas ticket for 48 hours for 16 euro. I did make an exception to my own rule to get off the Pireas HOHO bus at the Pireas yacht harbor because it's far from central Athens. Nice place to spend a couple of hours for lunch. Within your 48 hours you can also use the HOHO bus to get you back near your hotel if you get tired of walking. Wifi worked, one of the reseptionists provided excellent service and gave us great tips on what to do in Athens. The breakfast was not special BUT it was the best breakfast by far that provided in any of the 6 hotels we had stayed in during our 2 week stay in Greece. Clean and nice room The location was perfect. You could walk everywhere. Monastiraki and Syntagma just couple of minutes away. Walking distance to Actopolis and Lycabettus hill. Nice shops and restaurants just outside the hotel. Very nice area. Such a beautifully decorated and comfortable apartment with everything you need for a stay in Athens. Located right in the tourist area it was close to everything we wanted to see. I had my concerns when first seeing the shower as it is more of a wet room than a shower cubicle but after travelling around Italy and Greece for nine weeks I have to say it was the best shower we had. Hot water straight away and excellent water pressure. Perfect place to finish our nine week holiday. Excelent location at the hearth of Plaka Quartier. At a walking distance far from all main tourist and public transport (inc Metro to Airport at Syntagma station). A 3 stars rated hotel that is much better than other 4 stars ones. Do not miss the roof terrace at the sister hotel Placka, which is closed to this, with spectacular view on Acropolis, specially by night. Very kind and helpful staff. Modern, clean, not to big, excellent choice for my holidays in Athens. This is a shoe box apartment which has everything you need. Marien is a wonderful host and very kind. Everything is taken care of by Marien to ensure visitors have a pleasant stay. She's in constant touch to make you have a comfortable stay. 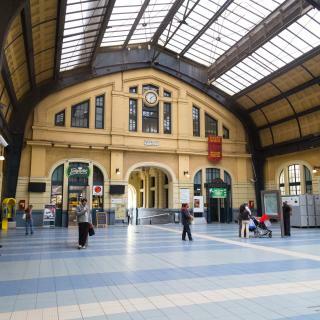 Walking distance from metro/train/bus station. Wifi worked great which was rare in Greece islands. Location was the very best possible. I would stay at no other hotel when I return to Greece based on location and views of the Acropolis. The staff were accommodating and the lovely smell of the lobby all added to the stay. Great value for money. Comfortable bed and great shower which is very rare in Greece with budget accommodation. Highly recommend this hotel close to all attractions in Athens with hip bars and restaurants nearby. This hotel was very central to metro and the buzzing bohemian area of Greece. It is o short walk to the centre of Athens and attractions. The staff were excellent! Nice apartment and owner in Athens!Thank you for giving us the best experience in Greece. And I saw the news about forest fire in Athens,hope you are fine! Its brand new which is very important for mattress, pillows, etc.. its very clean hotel, friendly helpful stuff which common in Greece and not Europe.. The rooms looked new, and they were clean. The bed and pillows were some of the most comfortable we’ve ever slept on in Greece. The best value for money Hotel I ever stayd in Greece last year .. The view and the proximity to the underground.